Experiencing an air conditioner failure? In this article, Dave’s Heat & Air lists some common AC problems and their fixes. Check the electrical panel and reset the switches and overloads. Check the thermostat, condensate overflow switch, capacitor and contractor. If the breaker resets by itself, the compressor, capacitor or fan motor might need to be replaced. It’s best to call for emergency air conditioner service to address this problem. If your AC isn’t cooling like it should, shut it down and clean or replace the filter. Use the fan function to melt any ice on the coils, then turn it back off and clean the condensate drain and outdoor compressor. If after turning the power back on the fan isn’t working, reset the compressor. If there’s a humming sound but the AC isn’t actually running, the capacitor needs replaced. If none of these attempts work, professionals can check to see if the coolant needs recharging. Have a digital multimeter? Check the condensate pump for any issues. If none are found, air conditioner professionals advise checking to see if the air handler is malfunctioning due to the indoor evaporator coil being dirty or frozen. This can be fixed by replacing the blower belt. The blower motor probably needs to be replaced if you hear a buzzing sound even when the blower isn’t running. Search online on how to replace an AC blower motor or seek professional help. Check the circuit breaker and the controls for the air handler. Then check the small switch inside the metal door that stops the AC from running when the cabinet is open. Afterward, check the thermostat. Look to see where the leak is coming from; it may be due to blockage in the plastic pipes or tubes that carry the water. Water leaks can also mean the condensate pump has stopped working. Look for the small safety float connected to the condensation drain pipe and clear it. 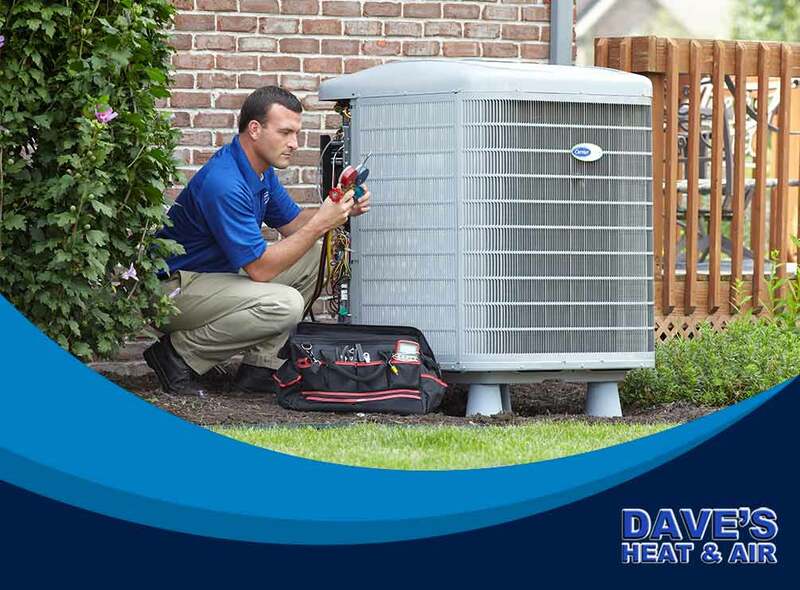 Dave’s Heat & Air, your 24-hour AC company, can help you get your AC back up and running. Give us a call at (972) 435-0303 or send us a message here.